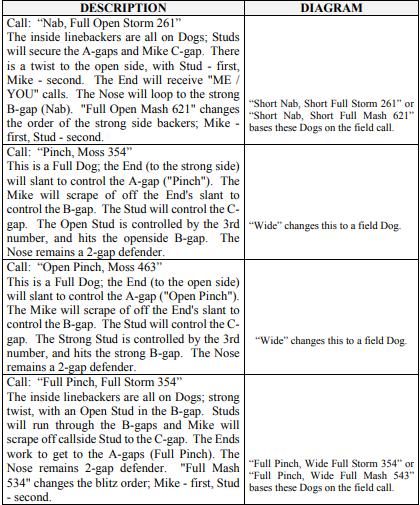 These dogs will have all three inside backers running through gaps, with coordinated action, either between backers, and/or defensive linemen. 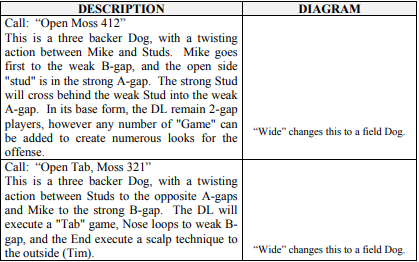 The defensive linemen may have an automatic “scalp” slant to gap, or can be called into a specific gap. 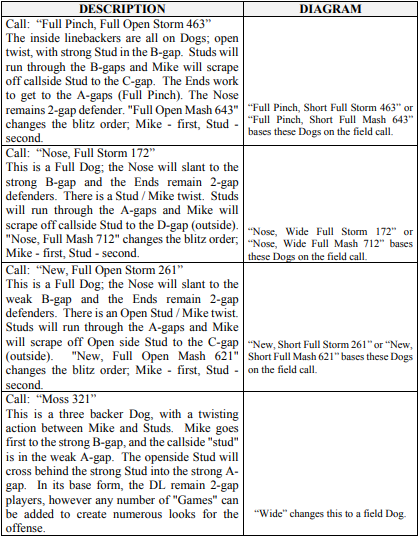 These Dogs use word calls that identify the defenders involved and the blitz numbering system to identify the blitz-gaps. 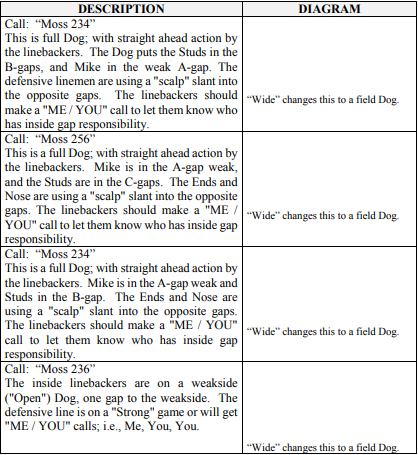 The word call identifies the defender gap order, based upon the strong side (“callside”) defenders. 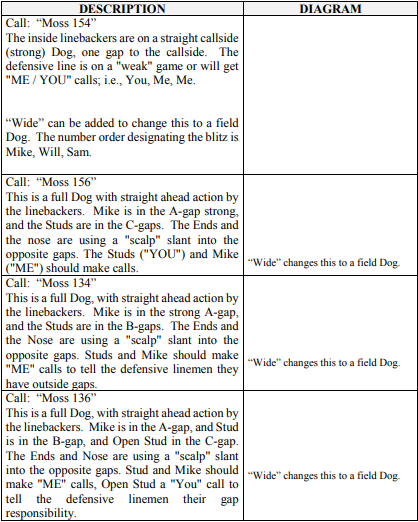 This can be changed based upon field by adding the word “WIDE” to the call. The critical component is that the linebackers must know who is going first whenever there is a twisting or crossing type action. • “MOSS” refers to Mike, Strong Stud, and the Open Stud. 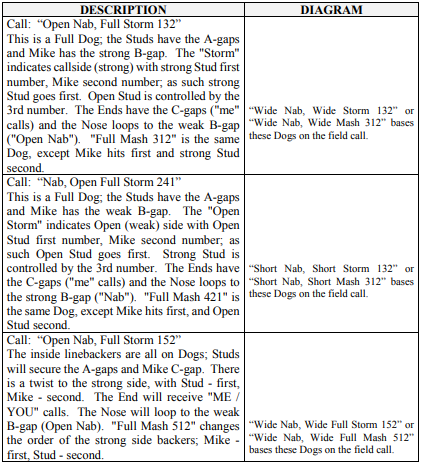 Therefore, on a stunt requiring a cross, such as “Moss 321”, Mike controls the strong B-gap, the Strong Stud crosses behind Mike to the open side A-gap, and the Open Stud crosses behind the Strong Stud to the strong A-gap.